While the consumers have mixed opinions about ‘Moto Mods’ as a product line up, Motorola doesn’t seem to be stopping anytime soon. The company has now started selling a brand new Moto Mod for its Moto Z series of smartphones. The Mod is called Moto Folio, and it is currently the cheapest Moto Mod to date. 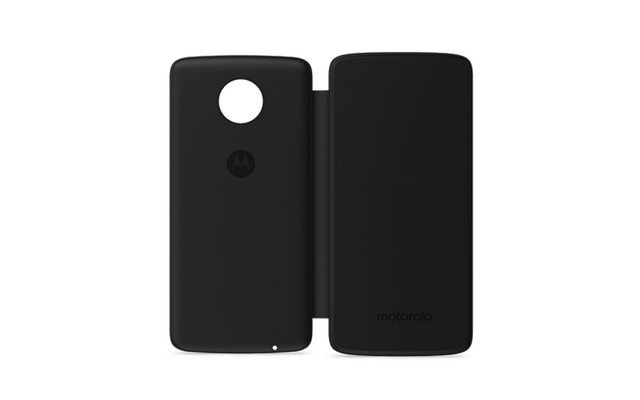 The Moto Folio is priced at $11.24, and it is available only in the US. In case you are wondering, the Vital Mod is the most expensive Moto Mod to date, and it costs a whopping $395. Now, talking about new Moto Folio, it is just a protective case for your Moto Z smartphones. Well, that explains the price. In fact, if you ask us, it’s actually a little too pricey for a flip case. Just like any other Moto Mod, the Folio Mod also attaches to your Moto Z via the phone’s rear magnetic connectors. It also features a magnetic closure which keeps it from popping open. It is also worth noting that the case weighs 55 grams and measures 3.5mm in thickness. So be ready to handle the added weight and thickness if you decide to slap the case. The Moto Folio case is compatible with all current Moto Z smartphone models, and it is available in three colors variants: Super Black, Grape Juice, and Fine Gold. And in case you’re still interested in getting a new case for Moto Z, you can head over to Motorola’s official website and grab one.